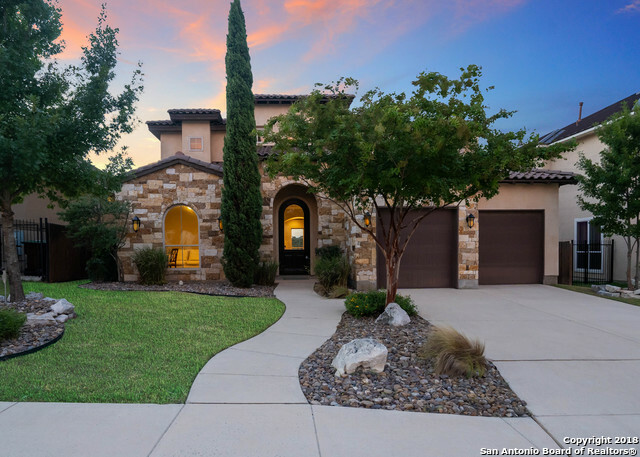 All VISTAS AT SONOMA homes currently listed for sale in San Antonio as of 04/20/2019 are shown below. You can change the search criteria at any time by pressing the 'Change Search' button below. "Spectacular grand home situated on a cul-de-sac in the prestigious gated Vistas at Sonoma. 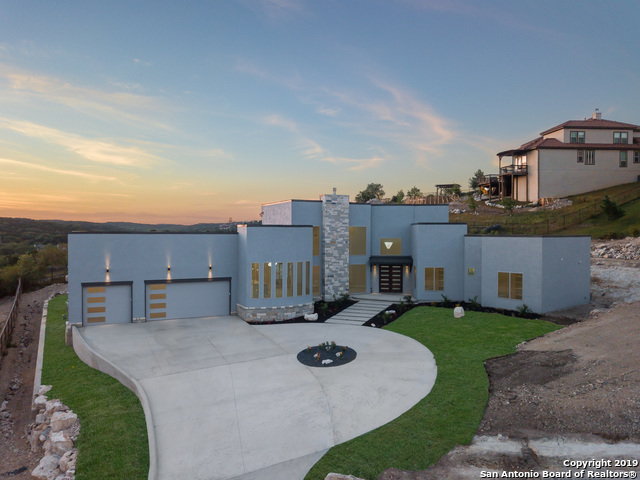 This new build (2019) custom home is surely the showstopper of the subdivision with it's modern open concept design, soaring 20ft ceilings, and phenomenal high-end finishes throughout. You will enjoy stunning views through floor to ceiling windows, a beautiful chef's kitchen offering gas cooking, motion sensor faucet, and custom cabinetry. Built-in bookshelves in the study, and generously sized bedrooms an"
"High above the hills in the gated Vistas of Sonoma, sits an exceptionally designed custom home. Stunning rolling landscapes can be seen from every window! Enjoy hosting in your true Chef's kitchen w/ Fischer & Paykel 6 burner gas range, Double dish-drawer, & custom cabinetry w/ sliding shelves. 4 bedrooms, plus a Study featuring a Downstairs Master wing complete w/ walk in shower, custom tub and Grand W/I closet. 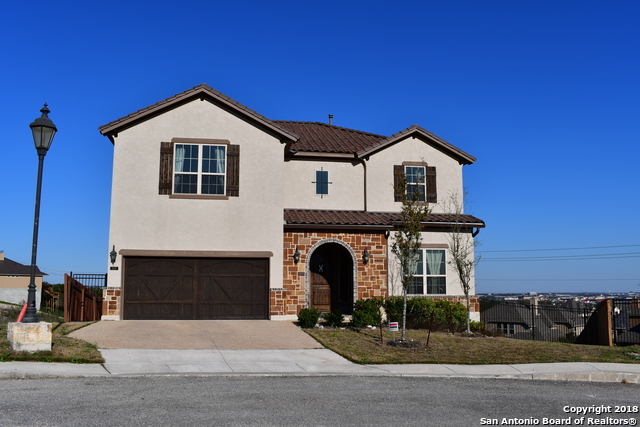 Upstairs you'll find 3 bedrooms, an intimate loft & balcony that features Views you"
"Beautiful house with hill country & City views, 3 car tandem garage, open floor plan, high ceiling, a lot of natural light. 5 Br, 4 Full Ba, Master & office downstairs, Media & a large game room upstairs. Media room & Game room have in-ceiling speakers installed. Water softener & whole house water filter included. Very well kept, extremely clean. Minutes to La Cantera, The Rim, UTSA. See the fireworks display from Fiesta Texas every summer night from the backyard and rear covered porch. Move i"
"Artfully designed Whitestone Custom Home in exclusive gated community. The home features lofted 20' ceilings in the Foyer and Family Rooms, oversized double-paned windows bringing the outdoors in, upgraded wood,tile and carpeted floors, a luxury master-suite, gourmet kitchen with custom cabinetry and granite counters, gameroom, media room, metal roof and more." "Contemporary luxury at it's it best! 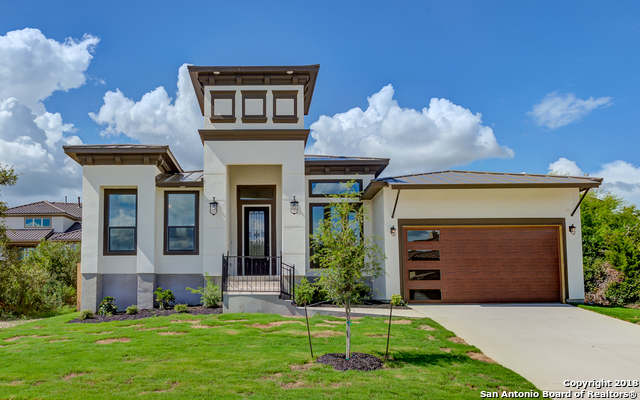 Stunning one of a kind 1 story home is loaded with upgrades and located in one of San Antonio's most well sought after gated community. Your future home provides easy access to La Cantera, The Rim, Fiesta Texas, Medical Center &UTSA. This beauty boasts upgrades & energy efficient features such as spray foam insulation (walls & roof), gas tankless water heater, Vicostone counters & a master bath shower that will leave you in awe!"